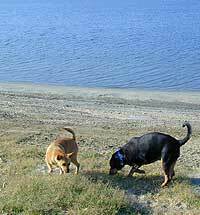 Leash-free ocean side areas, organized by County. 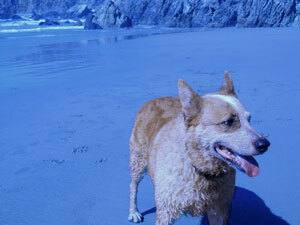 Some beaches are dog freindly but do require your pet to be on a lease at all times. Please call the park before your visit to verify the rules & regulations for dog access. 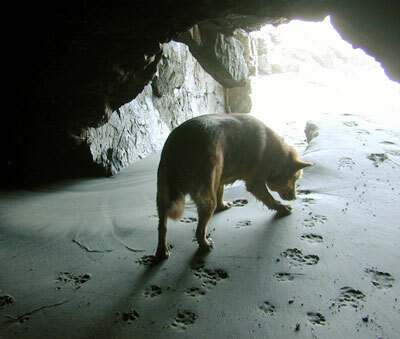 Orange Co. Los Angeles Co.
South Side of West Cliff Dr.
Avila Beach exit, Harford Dr.
Big Sur Camping with your dog! 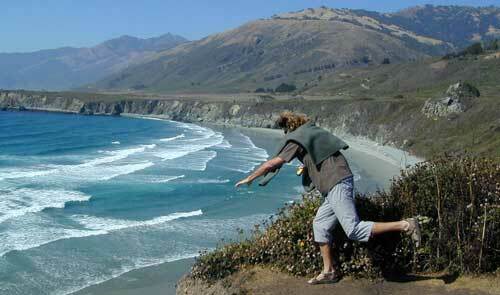 Big Sur Coast: Sand Dollar Beach is well worth a half day visit. Bring the dog & a picnic! San Francisco Co. Marin Co. Sonoma Co.
Main St. to Wharf Rd. Hwy 116 between Guerneville & Monte Rio, S on unmarked Rd. near Old Cazadero Rd.